Humble Bee Farm is a working farm less than 5 miles from the beach in the idyllic Yorkshire Wolds. As well as being the home of lots of happy animals, Humble Bee Farm also offers glamping experiences for families looking to enjoy life on the farm without sacrificing any of their home comforts. 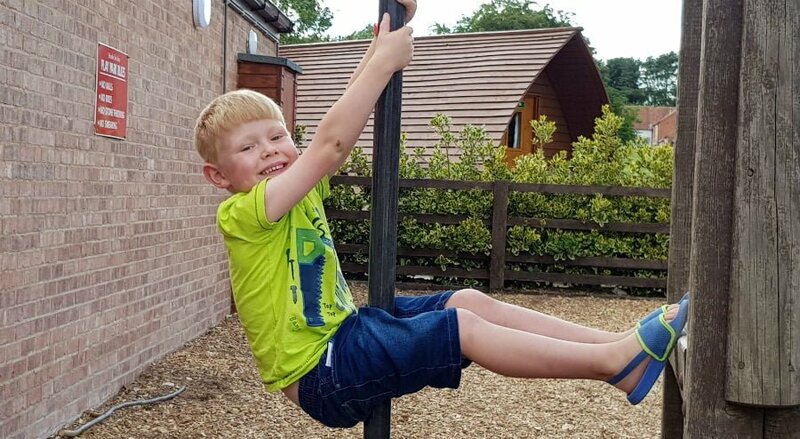 This includes stays in Wigwams, Yurts, Bell Tents and luxury cottages – all surrounded by rolling Yorkshire countryside, and with loads of facilities onsite for babies, toddlers and children of all ages. Read on to find out more about family friendly glamping experiences at Humble Bee Farm. Choose to stay in a Wigwam, Bell Tent, Yurt, luxury cottage or even bring your own tent or caravan. Less than 15 minutes drive from the Victorian seaside town of Filey and its 5 mile long beach. Working farm with pigs, chickens, cows and sheep onsite. Pop up and see the animals anytime. Family friendly wash facilities including family showers and baby changing room. Packed programme of events including Lambing and Calving weekends, wildlife rambles, bat watches and much more. We stayed at Humble Bee Farm for a weekend with our 2 young sons. Our home for the weekend was a Big Chief Wigwam, which is ideal for families looking for a comfy and affordable stay on a farm. The wigwam had a large decking area with a picnic table and BBQ outside, and inside it was homely, inviting and snug – especially when all the beds were made up at night time and the fairy lights were twinkling! Big Chief Wigwams sleep up to 5 people, plus a dog, so they are surprisingly spacious. There is a seating area and a table which converts into a large bed at bedtime, plenty of storage space and a toaster, microwave and kettle too. There was a water tap really close to our wigwam, and a Facilities block with toilets, showers, washing up area etc close by too. Humble Bee Farm operates a low noise policy so the site was really quiet after dark, and we all slept amazingly well. The sun streamed into the wigwam windows in the morning, so we all bounded out of bed ready to make the most of the day. It is worth noting that the Big Chief Wigwam had an electric heater too, so it would be fine for a cozy stay in the cooler months. One of the best things about a stay at Humble Bee Farm is the opportunity to learn more about the farm animals which also live there. There is a Happy Hen area where children can see if the hens have laid any eggs, and take one back for their breakfast. There are also pigs, cows, sheep and ducks on the farm. The piglets live in Farmer Percy’s Barn, and you can pop up at any time during the day to see them. Families can also go on one of the 2 nature trail walks around the farm to see the sheep and cows which live outside during the summer months. There are various activities on the nature trails, as well as a Bug Hotel where you can look for mini beasts. New for 2018, is a large playing field which is perfect for a kick around or a run around to let off steam before bedtime. There is also an enclosed playground with swings, a climbing frame and a slide. A packed schedule of events take place from February to October at Humble Bee Farm. These range from Lambing and Calving weekends to free events such as Nature Rambles and Bat and Owl Walks which depart from Reception. Emails are sent out a few days prior to arrival informing guests of the events which are taking place during their stay, and also letting you know how to book. We went on an interactive Nature Walk around the Farm which was run by Yorkshire Coast Nature, where we learnt about the wildlife which can be seen around the farm. Humble Bee Farm is an ideal location to explore the Yorkshire coastline, as well as the historic city of York and some of the best attractions in North Yorkshire. We love the Victorian seaside town of Filey with its famous Brigg, 5 mile long beach and promenade with rides for small children. 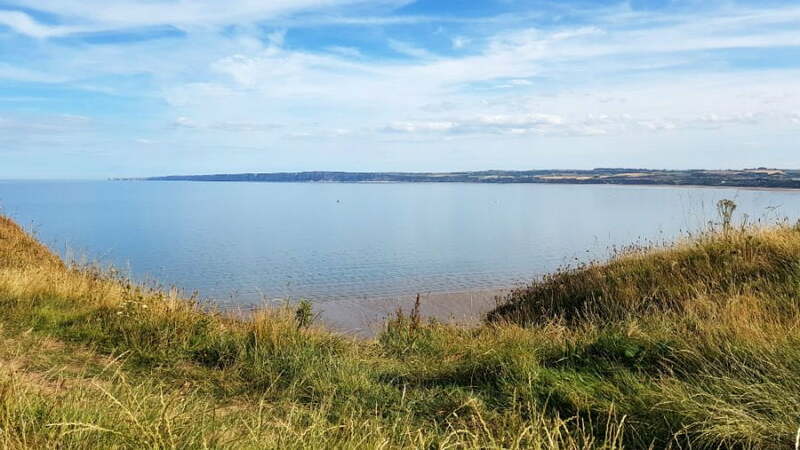 Hummanby Gap is just up the coast from Filey and has nothing apart from a Beach Café and sandy beach to dig on – perfect if you are looking for a secluded beach. For good rock pooling, head to Filey Brigg or further up the coast to Thornwick Bay, where there are amazing rock pools when the tide is out. The larger resort towns of Scarborough and Bridlington are good for family days out too. 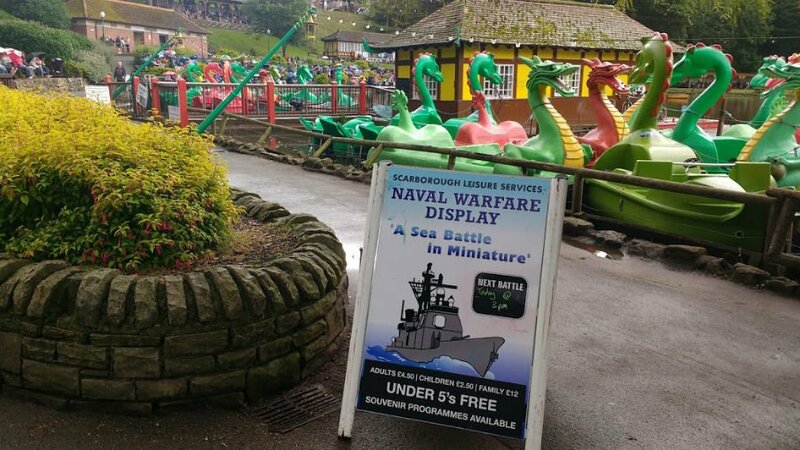 Don’t miss a trip to Scarborough to see the mock naval battle at Peasholm Park which takes place during the summer months. At just 30 mins long, this battle has boats and planes flying overhead and is loads of fun for the whole family. Afterwards hire a rowing boat at Peasholm Park, before heading to Peaches And Cream café across the road for a milkshake float. Inland, York is well worth a visit. We love walking on the river or round the city walls before finding the Ice Cream Boat in the summer months! Other fun days out which are easily accessible from Humble Bee Farm including Flamingo Land (don’t miss the Peter Rabbit playground!) or the North York Moors Railway. Where Is Humble Bee Farm? Humble Bee Farm is 5 miles from the Yorkshire coast. The nearest city and mainline train link is at York. Due to its rural location, a car is recommended. 2 night breaks at Humble Bee Farm start from £25 per adult and £14 per child per night. Under 2s are free. Kids Go Free between 4th November through to Feb 19 (exclusions apply – check website for more details). Extras such as fairy lights, bedding and a fire pit can be booked to make the experience even more memorable. WIFI is available at a cost of £3 per day per device. There is a small shop onsite selling basic provisions. There is also a Tescos in Filey, which also has a full range of independent shops, cafes and restaurants. On certain days, it is possible to order stone baked pizzas from Reception or visit the Taylor Made Kitchen which is an independent food truck which serves locally sourced food to guests. Emails are sent out a few days prior to arrival letting you know if it is possible to order pizzas, or if the Taylor Made Kitchen is due to visit. Visit https://humblebeefarm.co.uk/ for more information or to book. Check out this video of a family friendly glamping trip to Humble Bee Farm! Sincere thanks to Humble Bee Farm for our stay. Humble Bee Farm looks wonderful and sounds so family-friendly! It looks like you had a fantastic weekend for it. I love the idea that it has a heater for colder days, I bet it is really cosy.